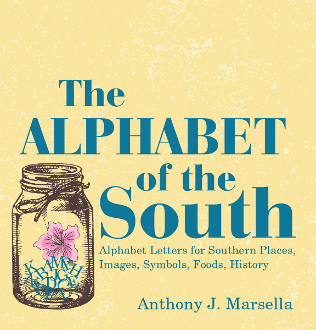 Anthony J. Marsella’s The Alphabet of the South is a fun and informative look at some of the most iconic representations of the American South, including sweet tea, magnolias, and fried green tomatoes. Throughout the book, Marsella uses the framework of the alphabet to provide insight into many traditions, foods, and values that the South holds near and dear. Loaded with facts, concise language, and colorful photography, The Alphabet of the South makes a perfect gift for fans of Southern culture.